Chiropractor in Cheektowaga & Buffalo, NY | WNY Pain Relief & Integrative Wellness Center – Buffalo based Chiropractors doing advanced therapy in pain relief. Buffalo based Chiropractors doing advanced therapy in pain relief. Find Your Solution to Natural Pain Relief, With Us! Centrally located on Union Road in Cheektowaga, the leading health professionals at WNY Pain Relief & Integrative Wellness Center are dedicated to helping you achieve your health and wellness objectives — combining skill, advanced technologies and expertise that spans the entire healthcare spectrum. WNY Pain Relief & Integrative Wellness Center is committed to bringing you better health and a better way of life by teaching and practicing the true principles of proactive approaches to health and wellness. Patients seeking treatment at WNY Pain Relief & Integrative Wellness Center are assured of receiving only the finest quality care through the use of modern healthcare equipment and technology. Dr. Kevin M. Nightingale DC, Dr. Christian A. Milioto DC and staff have a genuine concern for your well-being! a reduction of their pain. For years, the professionals at WNY Pain Relief & Integrative Wellness Center have taken an integrative approach to treating and alleviating both acute and chronic pain. Our team brings together a variety of innovative medical technologies combined with education and nutritional support to help our patients improve their quality of life to the greatest degree possible. First, a licensed DC will assess the severity of your problem. 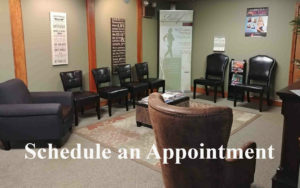 As soon as we have a complete picture of your unique situation, our team will review the results to develop a personalized treatment plan that will most effectively relieve your pain. Finally, we will review and then recommend a plan for helping you live pain free. By combining a team of specialists and advanced treatment protocols we not only help our patients get out of pain faster, but they stay out of pain for the long term. If you suffer with pain in the WNY area please call us for help. Copyright © WNY Pain Relief & Integrative Wellness Center | All Rights Reserved.